hd00:21Frozen Tundra Elk. Aerial shot of an elk in a vast frozen expanse of flat land. 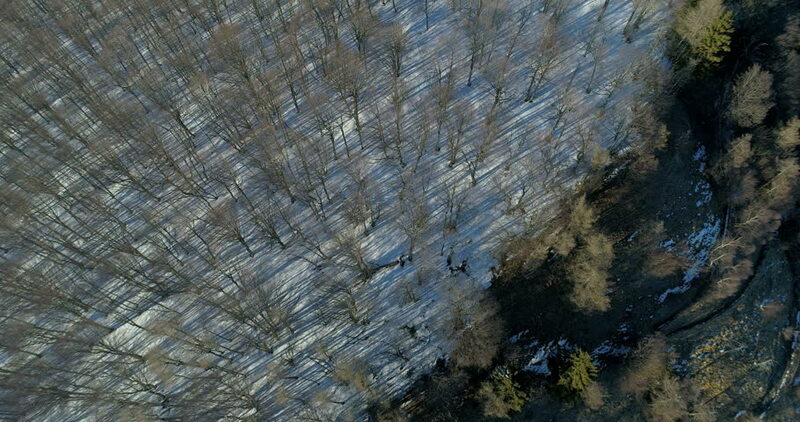 4k00:30Top down aerial drone footage of a forest during winter. The trees are sparse and you can see the forest floor below covered with snow. hd00:20Frozen Tundra Elk. Aerial shot of an elk in a vast frozen expanse of flat land.